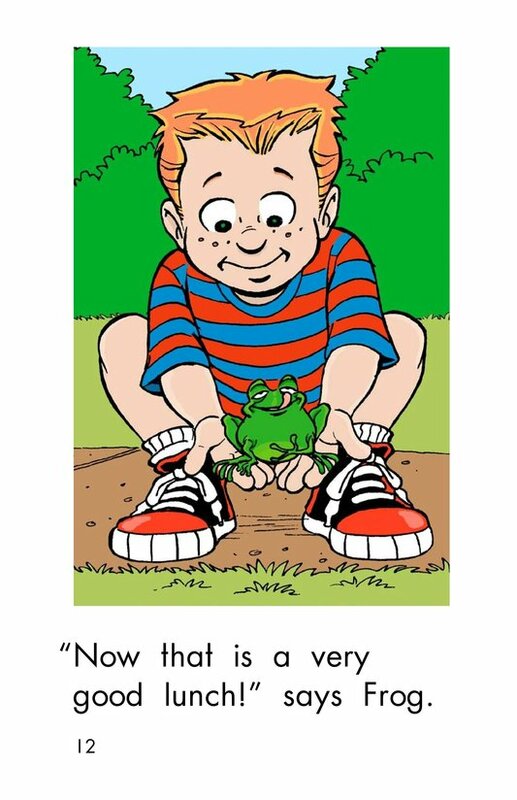 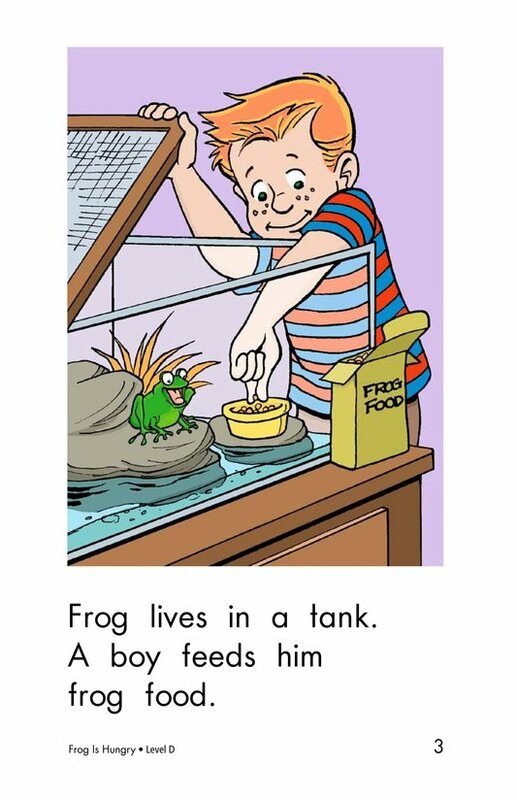 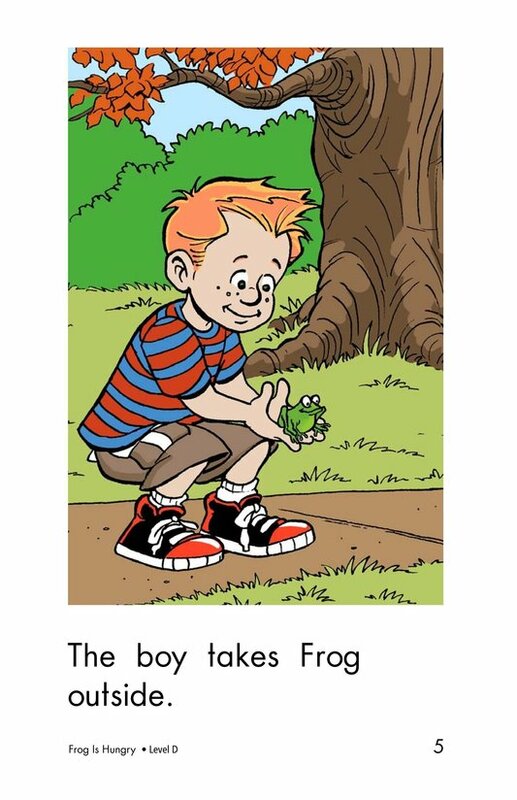 A boy takes his pet frog outside. 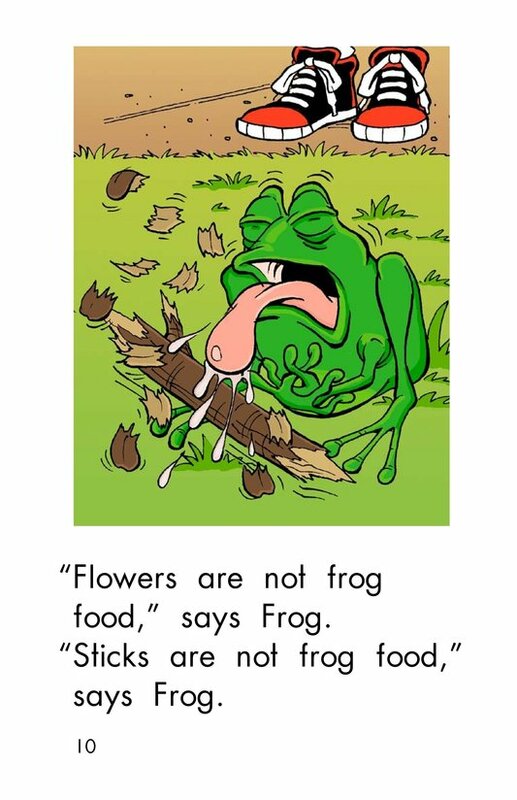 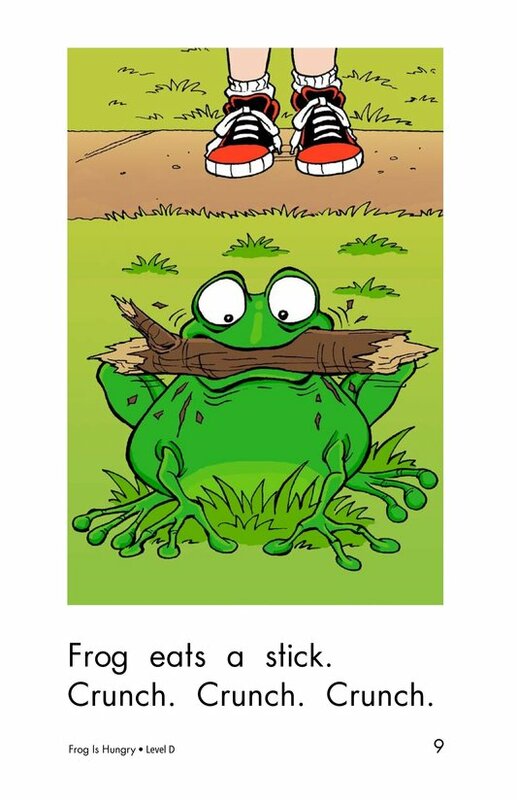 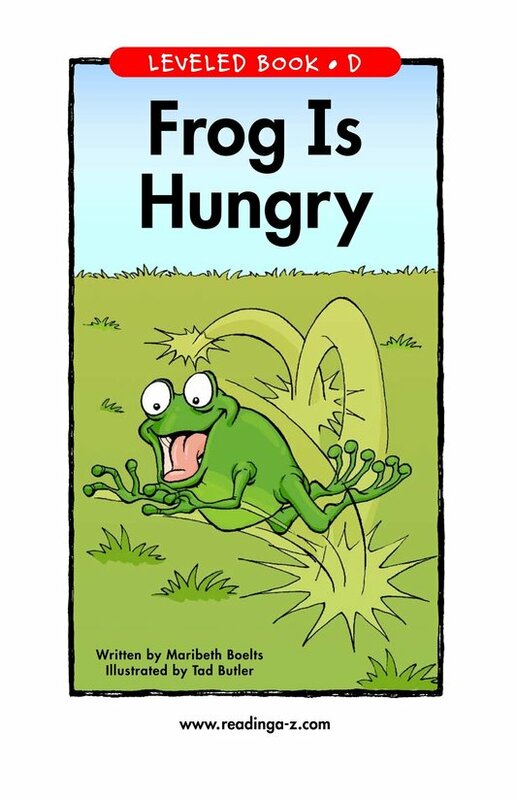 Frog decides he is hungry. 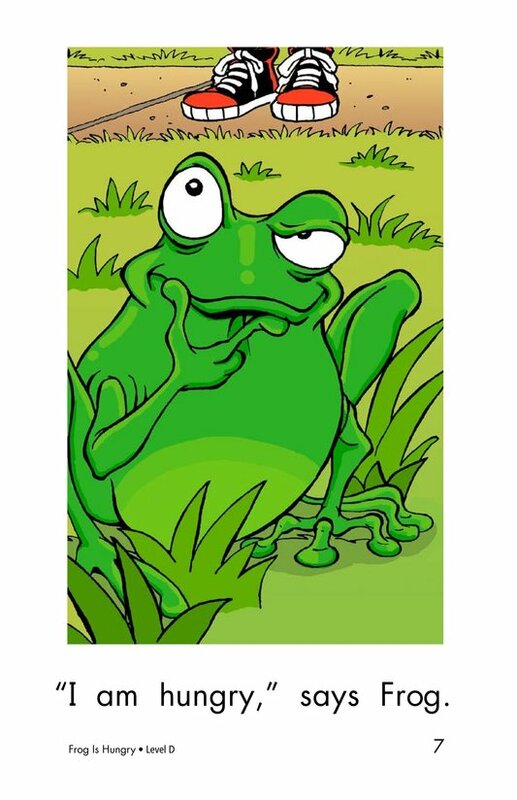 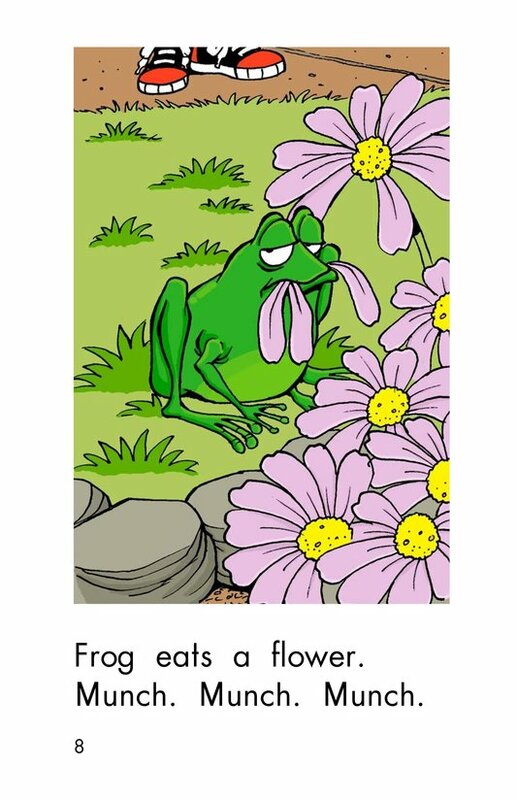 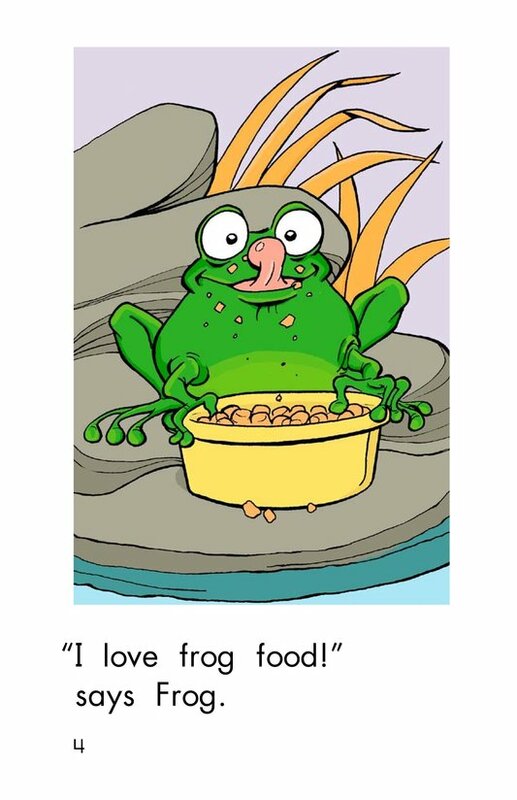 He tries several things before he finds the right kind of frog food. 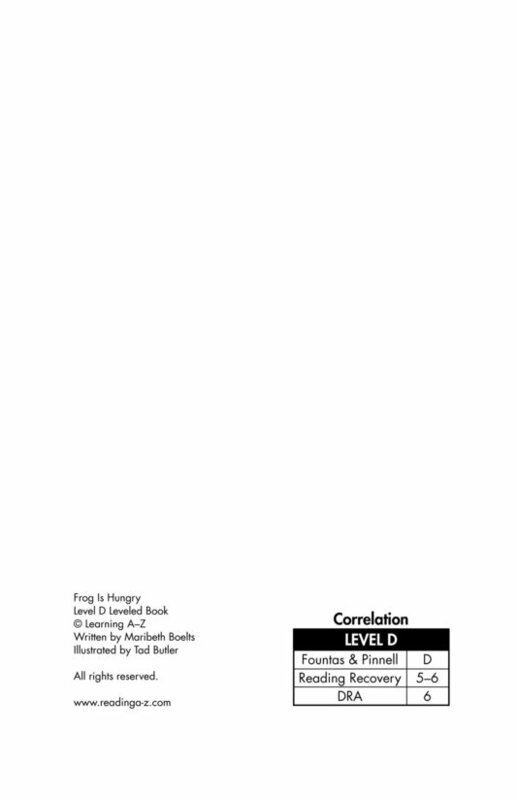 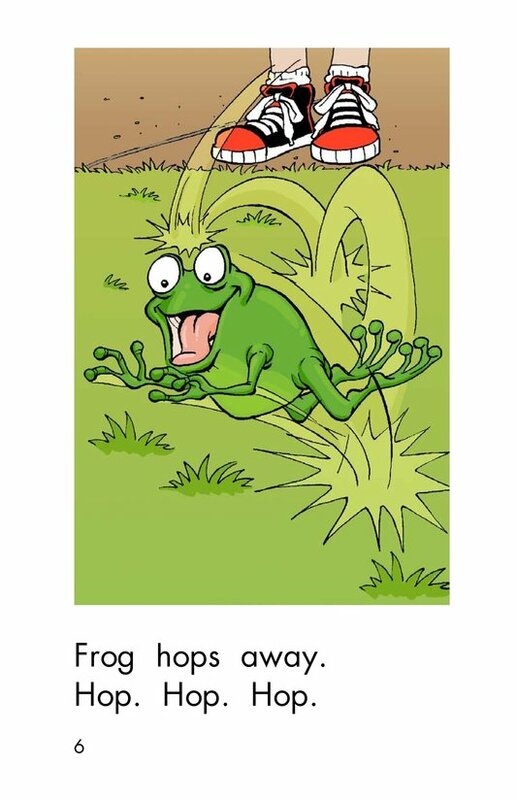 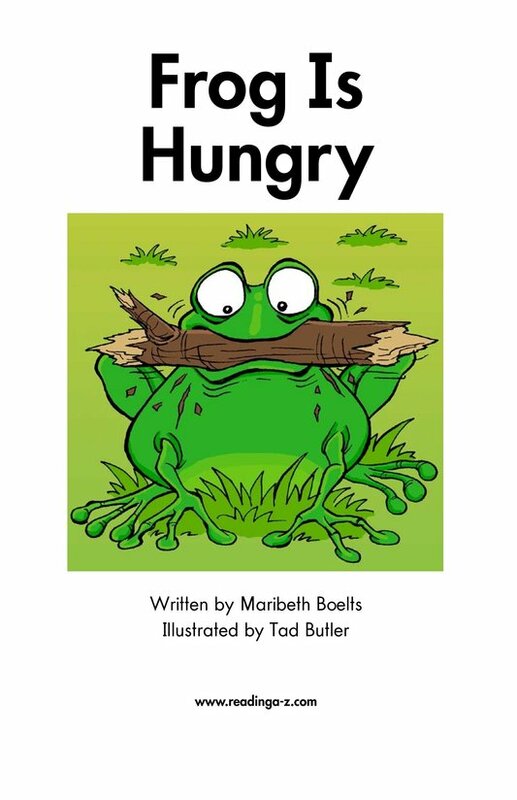 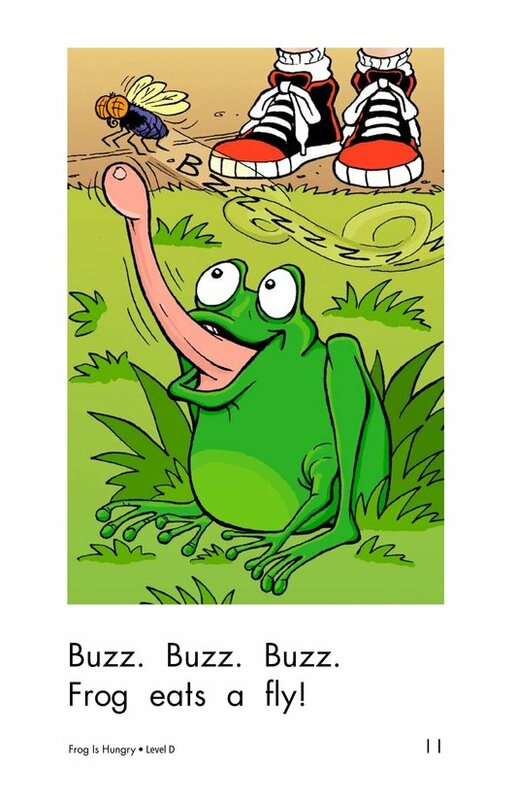 Supportive pictures and high-frequency words make this humorous book perfect for emerging readers.